Well, it was an interesting weekend, to be sure. I didn't write on Friday because I was home sick and was feeling quite poorly. It's just a cold, but I was SO run down and congested on Friday that I knew I needed to just stay in and rest. Of course, I did go to Mass in the morning for the Feast of the Sacred Heart of Jesus, but I kept to myself and refrained from shaking anyone's hand at the sign of peace. :) The sign of peace is a very awkward exchange for us introverts anyway. At any rate, I stayed in otherwise on Friday and did nothing except look after Anne and change a poo explosion diaper that was so vast in its ferocity that I had to implement "Poos of the Apocalypse Survival Tactic #9 - Immediate Strip and Hose-down." With Anne stark naked and sobbing in the bathtub, I had to just splash her off for a bit lest a definite raw sewage situation overtake the bathtub. After the worst of it had been washed away, I filled the tub to let her soak and do a complete wash down. Afterward, I still found poo (a) in her hair, and (b) underneath my fingernails. Anyway, I survived, and so did Anne. On Saturday, we had some family over for dinner from out of town. And during the course of the after-dinner conversation, I found myself in one of those quandaries: when is the right time to defend the Church, and when is it better to keep ones mouth shut lest you anger people? "So what did you think of the bishop's letter that the priest read during Mass today?" The governor of New York is expected to sign a bill soon that would expand access to abortion, particularly late term abortion. Our bishop asked that all priests in our diocese read his letter condemning this bill in Masses this past weekend. It was read at our Saturday vigil as well. "Yeah, I thought it was fine. It was good that he did that." "You know, I went to confession last week for the first time in 40 years." Even better! Things are going great! I know that other present family members do not put much stock into the Sacrament of Reconciliation, so I'm hoping that this testimony may get them thinking about things. "Well, I didn't go for so long because I was doing (sin inserted here; even though the person in question named it, it doesn't feel right to reveal it here), and I knew I was going to keep doing it, so what was the point?" "Yeah, well, you tell the sin to the priest, and he gives you a Hail Mary or whatever to say? What good does that do. Confession is just bull*#@!" "Why do they even make the kids do confession anymore before First Communion?" 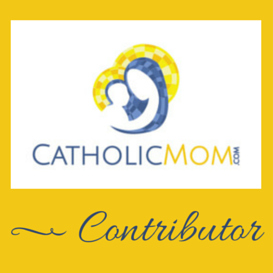 My husband interjects: "Well, it's because Catholics believe that confession cleanses you from sin. And you should be without sin if you're going to take communion." *CATHOLIC LIBRARIAN PUFFS CHEST UP WITH PRIDE* Even my non-Catholic husband can converse in an orthodox manner about the sacraments. I chose well! At that moment, I was fielding First Communion questions from Hank in the living room: "Mommy, I'm confused. Is communion really like you're eating Jesus' *skin*?" So I had my hands full. I thought it would be kind of weird to cut Hank off and suddenly leap into their conversation and tell them how wrong I knew they all were. But then I felt guilty for staying silent. It was a quandary, gentle reader. Given the circumstances, I think that I did the only thing I could. But let me tell you, I was feeling a bit miffed about the whole thing. I really don't need my faith (which I don't think is a secret that it's extremely important to me) mocked in my own home. The confession thing was prickly enough, but the *Rhythm Method*? Those are fighting words. It did create a nice conversation between Mike and I later as we debriefed, and I was so proud of him for explaining the Catholic position. It was quite a weekend, I'm still recovering, both physically and emotionally. :) But I persevere.